The modern ribbed grip handle is reversible, so the imprint is always in full view. The heavy duty scraping blade is as strong as ever, made from 1/4 thick polystyrene. The sure-grip handle is available in 10 bright colors. 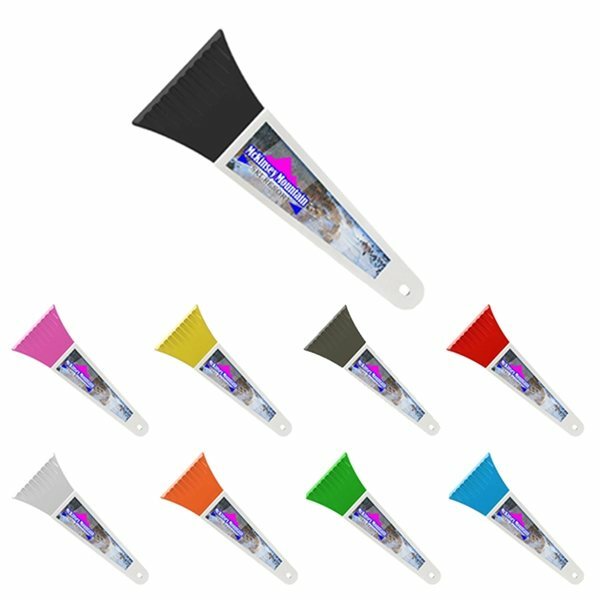 Custom handle colors available for orders over 10,000 units. They are great! An excellent and affordable giveaway will be able to hand to everyone. the service is excellent! Rosa was over the top delivering ahead of schedule! Loved it! Much better than I was expecting!! Clear printing, even though the font is very small it is still very legible. it looks funny. It will get our name out to many people so others can enjoy them. Great item for the Seniors Fair that we will be attending in a couple of weeks. Our Top Prof faculty is really pleased with receiving them. I really like the size and the overall quality of the product.